Certificates of Insurance: Unit Owners and Lenders should submit their requests online www.eoidirect.com or by phone (877)456-3643, Monday – Friday from 9 am to 8 pm. Certificates will be issued immediately. HO-6 Unit Owners Policy – Please make sure to purchase a Unit Owners Insurance Policy. Important information for owners regarding Insurance. Click Here. The Encore’s master insurance policy is held with Admiral Indemnity/Clermont Specialty. Each unit owner and resident is responsible for the maintenance and upkeep of their individual unit, including heating and air conditioning systems pertaining to that unit. Click HERE for a copy of the master policy Certificate of Insurance for Owners. Please Click Here for Instructions to utilize EOI Direct. 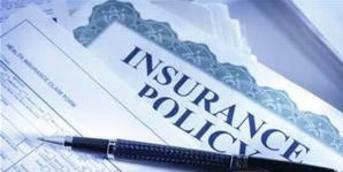 Each year, mortgage companies request a copy of the Association’s master insurance policy. Most requests must be completed by also listing the mortgage company on the Certificate of Insurance. If this is required by your mortgage company, please submit the request online to EOI Direct or by phone (877)456-3643, Monday – Friday from 9 am to 8 pm. Certificates will be issued immediately. USI Insurance Services is the broker for the Association’s insurance needs. Each year, USI representatives meet with the Board of Directors to review the insurance policy, assess additional insurance needs and risk, and obtain competitive pricing. Additionally, USI’s newsletter Insurance Focus contains many topics of interest to the Associations and Unit Owners. Existing Owners – Release request for Master Policy.